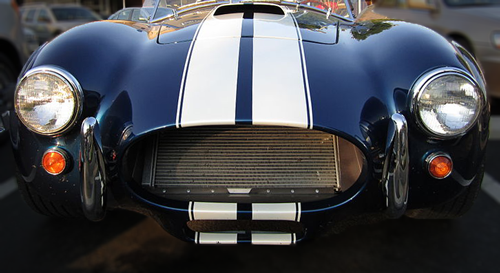 In the early 1960’s, automotive designer, Carroll Shelby created an instant classic, the Shelby Cobra. The Cobra was capable of going from zero to 60 mph in 4.5 seconds with a top speed of 185 mph, numbers that are still impressive 50 years later. What I find most fascinating is that the Cobra achieved this eye-popping level of performance with an overall design philosophy that was straightforward and easy to understand. It was a car with plenty of horsepower and an absence of excess weight. The concept is referred to as “Power to Weight Ratio” (which as an aside is what works against me when I try to do a pull-up). The bottom line is that the Shelby Cobra is a relatively simple package designed to get you where you want to go… in a hurry! My point? Many investment strategies seem to me to be the exact opposite of the Cobra – often over-engineered and perhaps needlessly so. I’m not saying that all extremely complex or exotic financial instruments are bad – as many have performed admirably over time – merely that excess complexity will not necessarily put you in the winner’s circle. In fact, the best investment strategy for a given investor is generally one that the investor readily understands. Oliver Wendell Holmes said, “I wouldn’t give a fig for the simplicity on this side of complexity, but I would give my life for the simplicity on the other side of complexity.” While I’m not sure that Holmes was referring to either cars or investing, a lot can be said for finding ways to accomplish objectives with straightforward, understandable design.